Visit the Staff Directory app by selecting it in the app menu or by visiting the Dashboard and selecting it there. 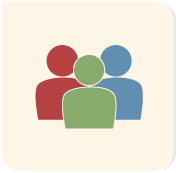 Use this app to present the people who work at your organization to your website users. The Staff Directory is a robust app with a variety of features. It is possible that your staff set-up does not require all of the available features, meaning that not all of the following documentation applies to your set-up. Each listing (C) tells you the staff member's name, email address and location, whether the item is hidden, and gives you the option to edit or delete an item by clicking the appropriate icons (D). You also can edit an item by clicking it. 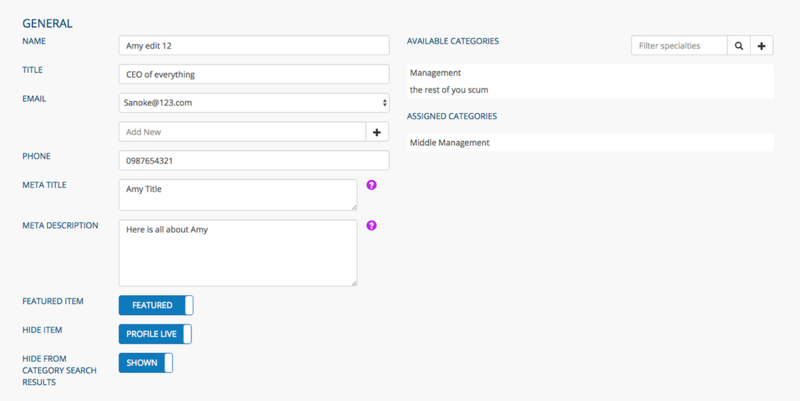 Select an option from the SELECT CATEGORY dropdown menu (E) to access a specific set of staff members. Return to this page by clicking VIEW ALL STAFF (G) from any page within the app. Click NEW STAFF from any page in the Staff Directory app. Keep the FEATURED ITEM in the default NOT FEATURED position to not includes this staff member in an area or areas on your site where certain staff are featured. Click it to include the staff member. Keep the HIDE ITEM toggle in its default PROFILE LIVE position to publish the staff member page. Click it to hide the page. 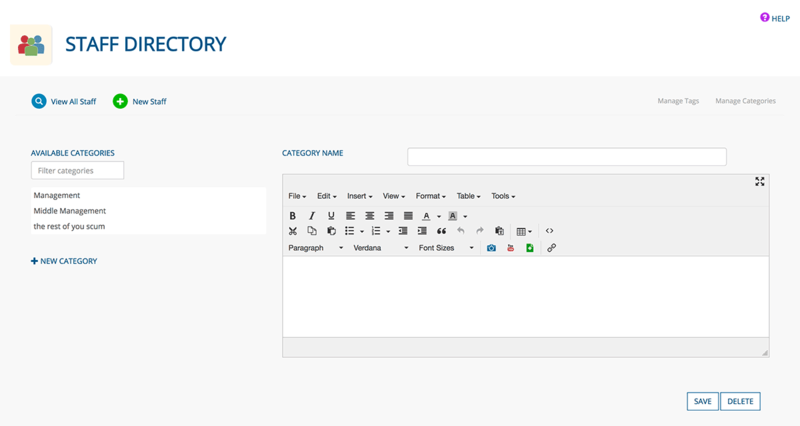 Keep the HIDE FROM CATEGORY SEARCH RESULTS toggle in its default SHOWN position to show this staff member when a user searches for staff using the Category filter. Click it to hide the staff member. Click an item from the AVAILABLE CATEGORIES field to assign it to the staff member; it will move to the ASSIGNED CATEGORIES field. Click an item from the ASSIGNED CATEGORIES field to unassign it. Example: John has been with Don’s Auto Repair & Sales for 12 years. He has an associate’s degree in automotive training technology from Madison College. John and his wife, Cathy, live in Sun Prairie and have two daughters. Select an option from the LOCATION dropdown menu, or add a new location and click the + icon. 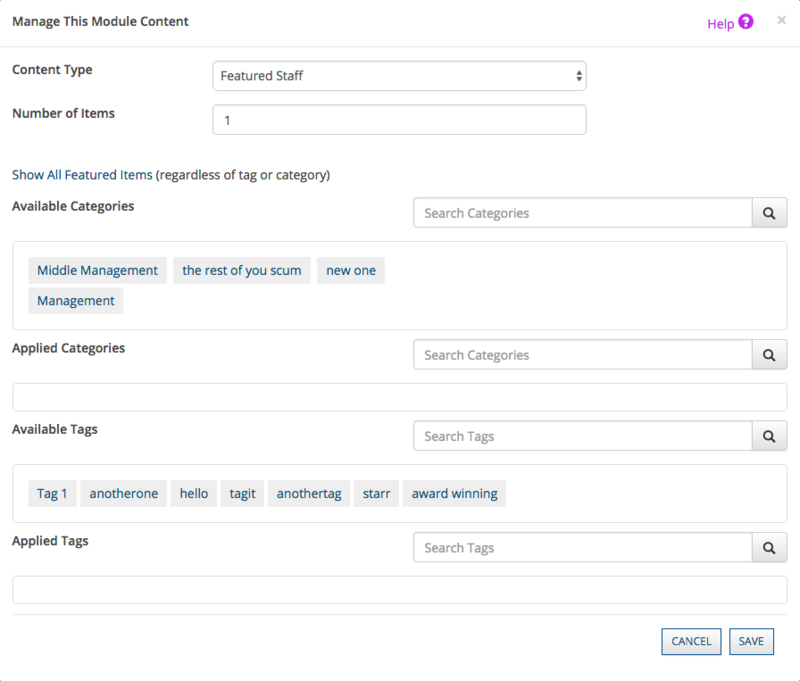 Click a tag in the AVAILABLE TAGS field to assign it to the staff member. Click a tag in the ASSIGNED TAGS field to unassign it. Click the SAVE button when you are finished creating/editing your staff member, or the DELETE button to delete it. 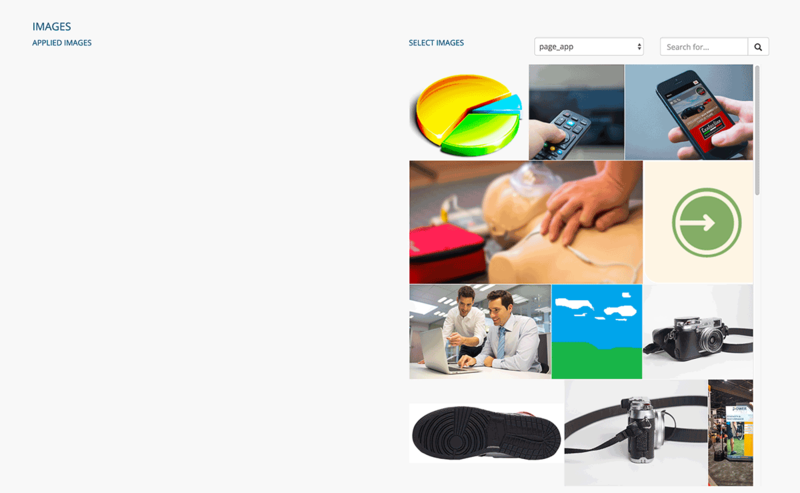 Click SHOW ALL FEATURED ITEMS to include all of your staff members. The module block will now show a new, random set of featured staff members, matching the number you entered in the previous step, each time a user visits the page containing the Featured Staff module block.